This article originally appeared on Autodesk’s Redshift, a site dedicated to inspiring designers, engineers, builders, and makers. 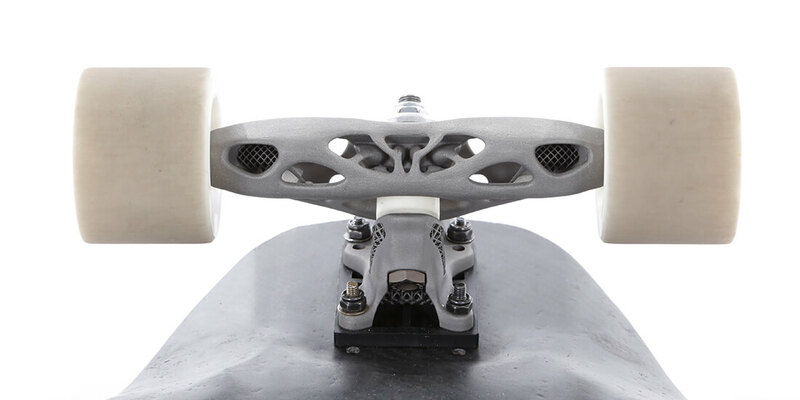 Continue reading the article: https://www.autodesk.com/redshift/skateboard-trucks-topology-optimization/. Photo Credit: All of the lattice beams in Philipp Manger’s skateboard truck are less than 1 millimeter wide. Courtesy Philipp Manger.